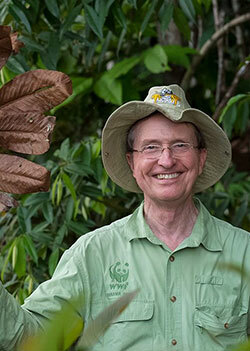 Based on his work in the Brazilian Amazon, Dr. Lovejoy brought early attention to the issue of tropical deforestation in the 1970s and in 1980 published the first estimate of global extinction rates. He has long been at the vanguard of science-based environmental policy. For example, he pioneered the largest long-term experiment in landscape ecology (in Brazil’s rainforests), coined the term “biological diversity,” originated the concept of debt-for-nature swaps, and launched the public television series Nature.